[IllSide Radio] Is The Cost To Be Bawse Too High? IllSide Radio: Is The Cost To Be Bawse Too High? Odeisel’s Planetill.Com, along with Chicago’s own Square One of B-Side Radio, have joined forces to bring you the week in review in Hip-Hop and current events, along with the occasional special guest and some music to keep you moving through your day. This episode of IllSide Radio takes a look at the recent seizures of Rick Ross. How close was the Bawse to checking out? Is he working too hard pulling off Maybach Music Group and his own solo career? Is the constant touring and recording putting his life in danger? What did former girlfriend Elise Neal have to say about his career and his relationship with the labels and his handlers. Is this a sign that Rozay should actually take it easy? Perhaps the actual cost to be the boss is too high. Is this a call for all overweight entertainers to lose weight? 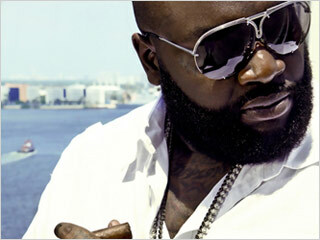 What would happen to Rick Ross’ Boss personality if he actually DID lose weight or have surgery to reduce his weight? Would he still have that oomph? Game recently got engaged to his long term girlfriend. Is a married rapper still able to project the same things that they could if they were single? How would that effect their super-macho projection. Can they still not love these hoes? Does marriage even go with Hip-Hop? Do we want to know the real lives of rappers? Ski Beatz is getting sued for not clearing a sample ON A MIXTAPE. Is this what’s good in the hood? What would happen to mixtapes if artists had to clear the samples for their mixtapes? If they’re not using music for a commercial exercise, should artists be able to sue other artists for using their music? All This and more on IllSide Radio.